Issued as one of the first models to feature the 17 jewel 14/0 sized 980 movement, the Carson was produced for only two years - 1935 & 1936. 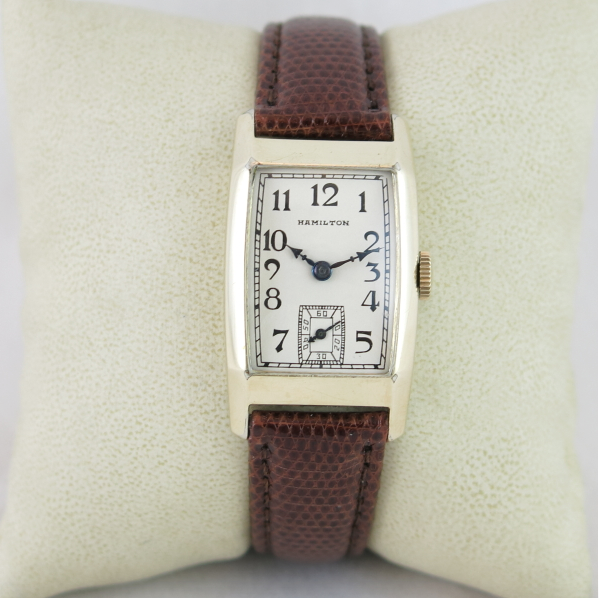 The rectangular, tank styled watch is slightly curved to fit the wrist. Featuring a 14K gold filled case, the dial is sterling silver with solid 18K markers. An enamel dial was also available but I can't say I've ever seen one. 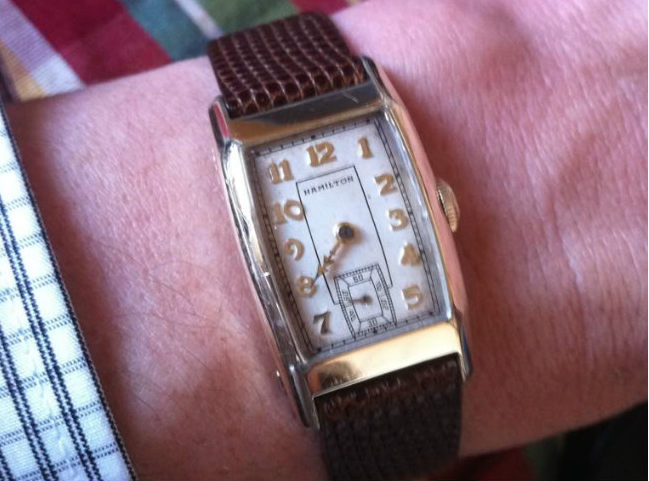 It's a good size for a vintage watch, typical for the era and takes a 16mm strap. Wear through on the corners of the front near the crystal is common, as is wear on the reverse along the edges. 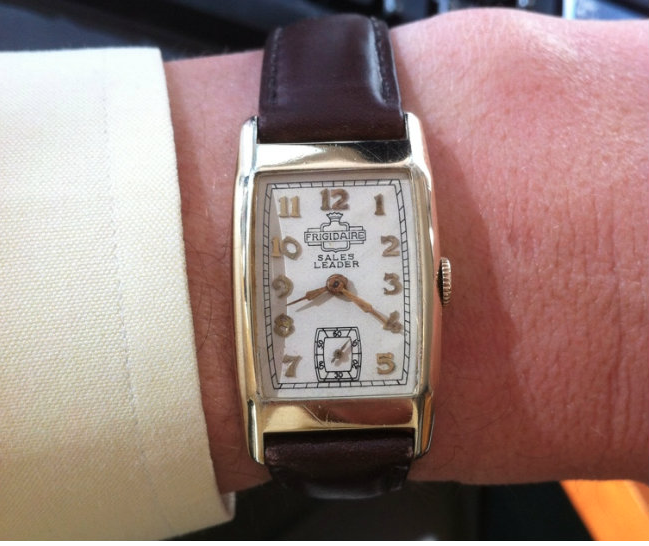 The Carson was used for corporate sales awards and is one of several models were you can find custom dials with company logos in addition to the Hamilton name. The back is typically engraved with the recipients name and award details. UPDATE: Here's an example of the inlaid black enamel dialed version of the Carson - this is a beautiful watch with a black enamel dial, in my opinion.